What makes us happy? What do we think makes us happy, but actually doesn’t? How can we increase our level of happiness? What makes us happy at work? 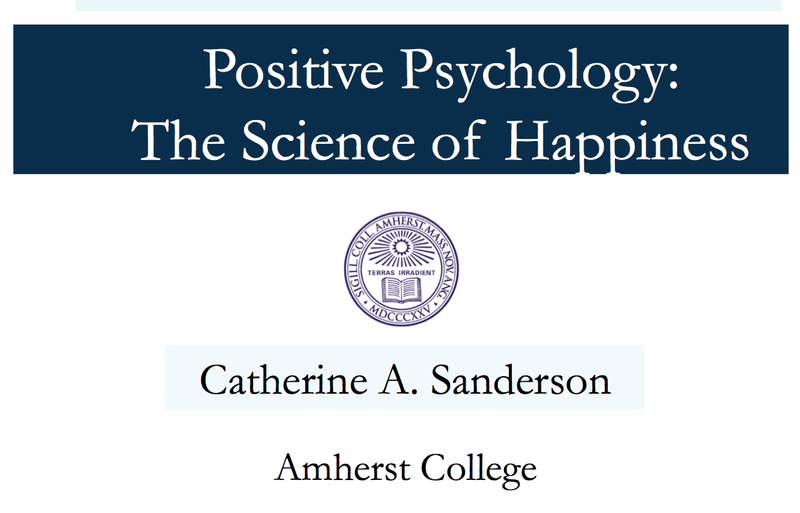 In this blog, Amherst psychology professor, Dr. Catherine Sanderson, will be answering the first three questions. I’ll tackle the forth one myself. Last month I attended the One Day University program sponsored by the Minneapolis Star Tribune newspaper. It was wonderful. For me, it was the best of the college educational experience, but with no finals! The kickoff program was a lecture by professor Sanderson, and from the start the audience was mesmerized. Who isn’t curious about the sources of happiness, and how to get more of it into their lives? I greatly appreciate Dr. Sanderson sharing her wisdom and slides on that day, and for allowing me to share them with you via this blog. Wouldn’t you agree that these are the biggest factors affecting your happiness at work? Each of us has our own unique criteria for job satisfaction, and each of the factors listed above has its own degree of importance to us. To help you explore this subject in greater depth, and help clarify what you need to be happy at your work, click this link to open my October, 2013 blog, “Evaluating an Opportunity”. …within a place that values you, and shares your values (your values fit their values)? If you can answer each of these three questions in the affirmative, you are most likely happy with both your work and the organization you occupy. This is the ideal. I wish you the best as you pursue it, and hope this and my previous and future blogs will help guide you along the way. Take a look at the slides and lecture by Dr. Catherine Sanderson. If you are like me, this will be reminiscent of your favorite lecture, presented by your favorite professor, during your best college days. 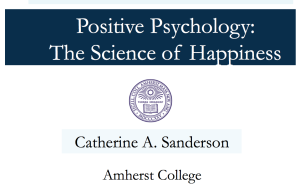 In the spirit of the “career care” theme in each of my blogs, I have followed Dr. Sanderson’s slides and lecture with my own thoughts about the pursuit of happiness at work. Between the two of us, we hope this blog will help you achieve greater happiness in your life and work. Happy trails to you!